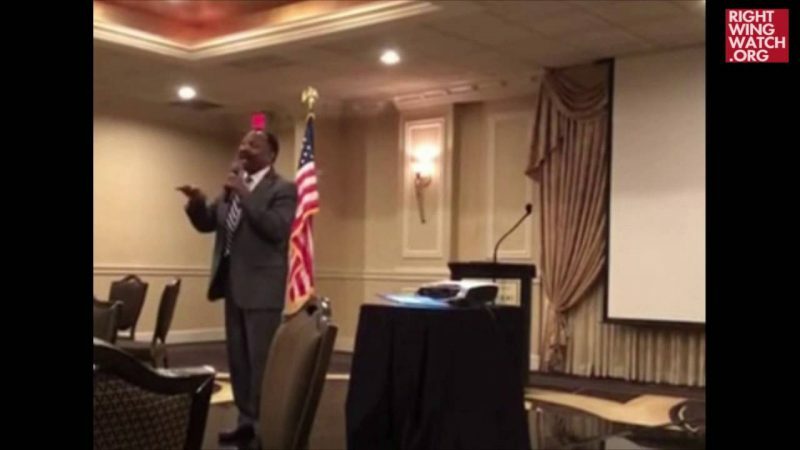 On his program last week, conservative activist and radio host E.W Jackson professed his support for the recent acquittal of Officer Jeronimo Yanez, who shot and killed African-American driver Philando Castile in front of his girlfriend and her four-year-old daughter last summer during a traffic stop in Minnesota. Jackson, who was the Republican nominee for lieutenant governor of Virginia in 2013, called Castile’s death “tragic” and “horrible,” but placed most of the blame on Castile for supposedly being “poorly trained and poorly taught” in gun safety. Jackson’s account also ignores Castile’s last words, “I’m not pulling it out,” which can be heard on the dash-cam footage before Yanez fired multiple shots. Today, only one week after the jury acquitted Officer Yanez, the city of St. Anthony, Minnesota reached a $3 million with the mother of Philando Castile for the death of her son.